BNZ first announced Apple Pay integration earlier this month, saying customers would be able to provision eligible Visa cards by the end of October. As promised, the service is now live and can be used to pay for items wherever contactless payments are accepted. "We know our customers want an exceptional experience that will allow them to pay quickly, easily and securely on a range of devices here, online and overseas. We've been listening as they have been asking for Apple Pay and it's hugely exciting to be able to say it's here", said David Bullock, director of products and technology at BNZ. 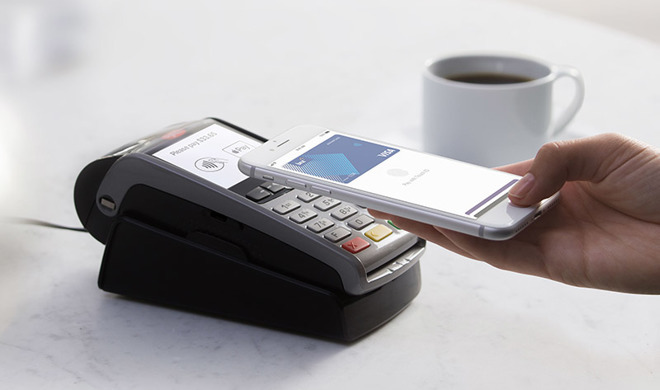 BNZ in its announcement today provided a primer on Apple Pay, touting the technology's security and privacy features. For example, instead of storing credit card information on devices like iPhone and iPad, Apple Pay assigns a unique device account number that is encrypted and stored in the Secure Enclave. This number, along with a one-time, dynamically generated security code, is used to authorize payments. Apple Pay on BNZ supports a number of Visa cards including BNZ Advantage Visa Platinum, BNZ Advantage Visa Classic, BNZ Advantage Visa Business, BNZ Flexi Debit Visa, BNZ Lite Visa, BNZ Visa Classic and BNZ Visa Platinum. Two weeks ago, Bullock said BNZ's decision to add Apple Pay compatibility was in response to customer feedback. Currently, Apple Pay is only accessible by two banks in New Zealand after the service went live on ANZ Bank's network last year. Thought to be stymying growth in the region is eftpos, a mature card-based contactless solution that charges banks lower per transaction fees than credit card processors. Interestingly, eftpos last week announced Apple Pay compatibility with its mobile tap-to-pay service in Australia via cards issued through ANZ. The BNZ integration arrives as Apple is primed to launch the service in four more countries. On Sunday, platform chief Jennifer Bailey said Apple Pay will debut in Denmark, Finland, Sweden and the United Arab Emirates in a matter of days.